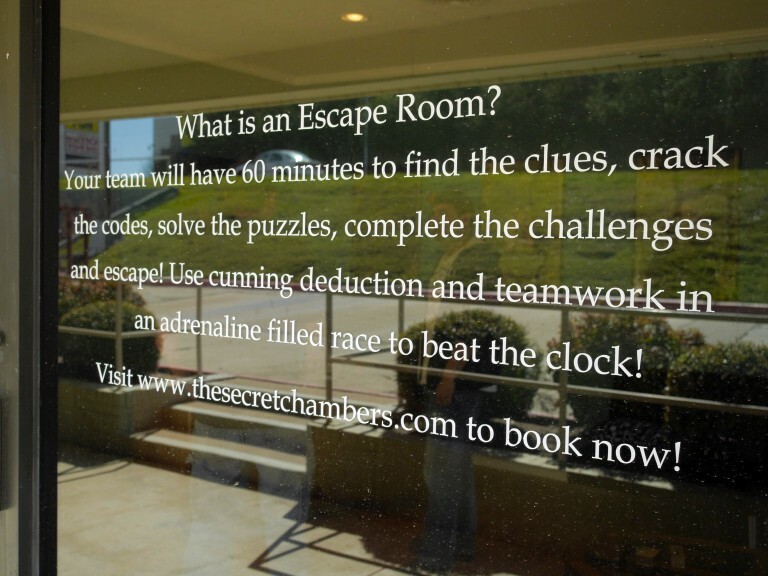 Groups of players book reservations for our timed puzzle / adventure “Escape Room Challenges”, working together to achieve victory and escape within a time limit. It’s like a television game show, or like a real-life video game experience! If you have any additional questions, comments or suggestions you would like to share with us, see our Contact Us page! While visiting The Secret Chambers, we ask that all players observe the house rules and restrictions. The Secret Chambers is committed to providing a quality Escape Room Challenge experience for everyone, and with your cooperation, we can make that goal a reality! No Drinking, No Smoking, No Vaping, No Drugs… NO EXCEPTIONS! Is this your first time doing an Escape Room Challenge? Perhaps you are a returning player looking to improve your escape time? These simple and effective strategies will help you achieve success! We provide everyone with a pen and paper… use them! Take DETAILED notes! Most of the clues and puzzles in the room are located between eye level and knee level! When you open a locked box, place the lock and key INSIDE the box to mark your progress. Need a nudge in the right direction? Don’t wait until the last minute to ask for a hint! COMMUNICATION IS KEY! Talk (out loud) to your teammates and celebrate your accomplishments! How many players can enter an Escape Room together? Generally speaking, our Escape Rooms are designed for groups of 4 - 10 players. What if we have MORE than 10 people? Special arrangements can be made for birthday parties, team building exercises, graduations and more! Contact Us before booking a reservation, and we'll make it work! The Secret Chambers is recommended for players age 13 and up. ALL minors MUST be accompanied by a responsible adult aged 18 or older. Everything at The Secret Chambers is designed to be fun, NEVER frustrating. How early should we arrive at The Secret Chambers? Please arrange for your party to arrive 15 minutes early. After signing in, our Lobby Host will have do a "Pre-Game Q&A" with your team and take you to your room! If you find get stuck during gameplay and need assistance, summon your Chamber Host! They will happy to give you a hint... for a price! What happens if we are late for our Escape Room Challenge? Late arriving teams will be allowed to start a game after their scheduled time, but we must deduct the difference from the total hour of gameplay. Individual team members running late will be allowed to join a regularly scheduled game in progress. The Secret Chambers is located on the southeast corner of the Ridgmar Mall parking lot… we will NEVER run out of free parking! Unfortunately, due to the nature of our business we can only admit parties booked through our Official Online Reservation System. We tend to stay booked solid on a regular basis, so be sure to make your reservations in advance! I received a gift certificate for The Secret Chambers! How do I redeem it? For help purchasing or redeeming gift certificates, see our Book Now page! We have more than 10 people! Can we squeeze them into one room? It depends on how many people you have in the group. We recommend breaking your group into two teams and booking “dueling reservations” across multiple Escape Room Challenges! Now, your large party is also competing for the fastest escape time in addition to racing against the clock! The Secret Chambers is obsessed with delivering a five star experience for all of our players, starting from the moment you visit our website. If the answer to your question does not appear on this page, just Contact Us and we’ll be happy to take care of you! To book a reservation for an Escape Room Challenge, visit our Book Now page! Interested in more information about The Secret Chambers? Visit the About Us page!